Head to North Terrace and Unique Opal Mine Pty Ltdfor plenty of shopping. Escape the urban bustle at Cleland Wildlife Park and Granite Island. Venture out of the city with trips to Aldinga Beach (in Aldinga Beach) and Hahndorf Fruit and Veg Market (in Hahndorf). Dedicate the 20th (Wed) to wine at some of the top wineries in the area. The adventure continues: explore the world behind art at Art Gallery of South Australia, appreciate the history behind The Rundle Mall Pigs, and take an in-depth tour of State Library of South Australia. To see more things to do, other places to visit, traveler tips, and more tourist information, use the Adelaide trip itinerary planning tool . Kolkata (Calcutta), India to Adelaide is an approximately 18.5-hour flight. Due to the time zone difference, you'll lose 4 hours traveling from Kolkata (Calcutta) to Adelaide. Traveling from Kolkata (Calcutta) in May, things will get colder in Adelaide: highs are around 22°C and lows about 12°C. Wrap up your sightseeing on the 20th (Wed) early enough to travel to Melbourne. Get some historical perspective at Shrine of Remembrance and Hillsong Church. Visiting Lake Wendouree and Balloon Rides will get you outdoors. 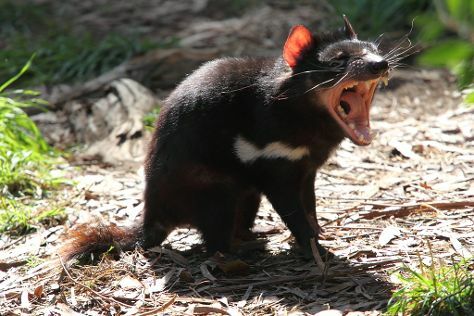 Explore Melbourne's surroundings by going to Aireys Inlet (Great Escape Books & Split Point Lighthouse), Art Gallery of Ballarat (in Ballarat) and Bells Beach (in Torquay). There's much more to do: admire the natural beauty at Royal Botanic Gardens, take a stroll through Melbourne Central, get to know the resident critters at Melbourne Zoo, and take in the spiritual surroundings of ISKCON Melbourne (Hare Krishna Temple). To see more things to do, other places to visit, and more tourist information, you can read our Melbourne trip itinerary planning app . You can fly from Adelaide to Melbourne in 3.5 hours. Other options are to drive; or take a train. Expect little chillier evenings in Melbourne when traveling from Adelaide in May, with lows around 9°C. Finish up your sightseeing early on the 25th (Mon) so you can travel to Sydney. Relax by the water at Manly Beach and Shelly Beach. Head to The Rocks Markets and DUX Collection Sydneyfor plenty of shopping. Explore Sydney's surroundings by going to Katoomba (Canyoning & Rappelling Tours & Wentworth Falls). There's still lots to do: kick back and relax at Bondi Beach, admire the natural beauty at Royal Botanic Garden Sydney, take in the exciting artwork at Joel Coleman Gallery, and hike along The Opera House to the Botanic Gardens Walk. To see reviews, maps, photos, and other tourist information, read Sydney online trip itinerary planner . You can fly from Melbourne to Sydney in 3.5 hours. Alternatively, you can do a combination of shuttle and flight; or drive. 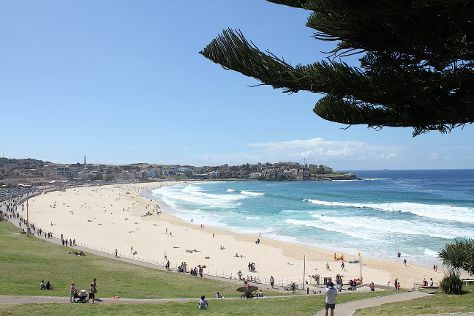 Traveling from Melbourne in May, expect Sydney to be somewhat warmer, temps between 24°C and 14°C. Wrap up your sightseeing on the 30th (Sat) early enough to travel to Gold Coast. On the 30th (Sat), get up close and personal with brilliant marine life at Sea World Theme Park. 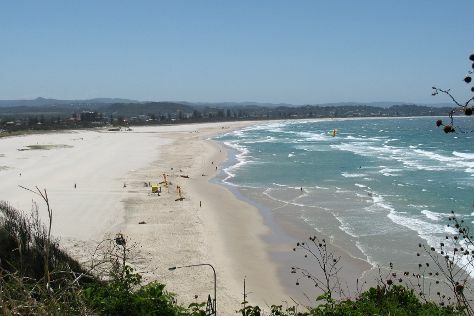 On the 31st (Sun), you'll have a packed day of sightseeing: kick back and relax at Kirra Beach, then enjoy the sea views from Captain Cook Memorial and Lighthouse, and then enjoy the sand and surf at Kurrawa Beach. For other places to visit, more things to do, reviews, and other tourist information, refer to the Gold Coast trip planner . Getting from Sydney to Gold Coast by flight takes about 3.5 hours. Other options: do a combination of flight and train; or drive. In May in Gold Coast, expect temperatures between 27°C during the day and 15°C at night. On the 1st (Mon), wrap the sightseeing up by early afternoon so you can travel back home.